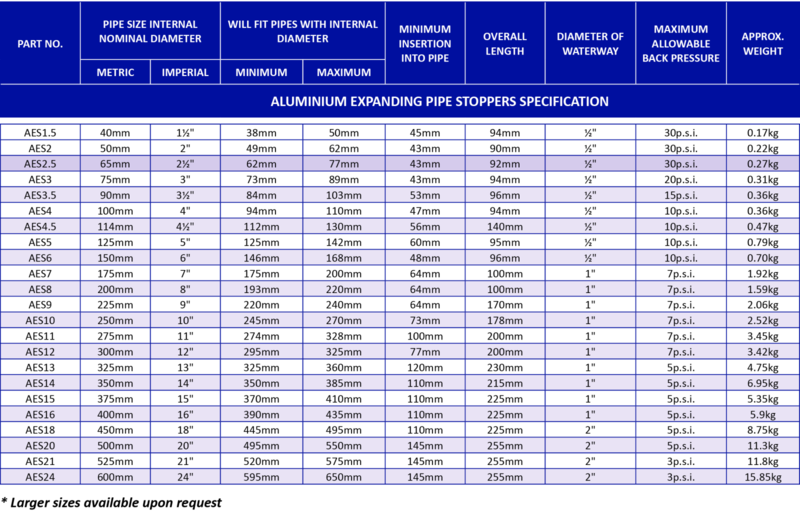 TAG Aluminium Expanding Pipe Stoppers. Sizes: 1.5" - 24" (40mm - 600mm). To complement the range of nylon expanding plugs, we offer all sizes of aluminium plugs. 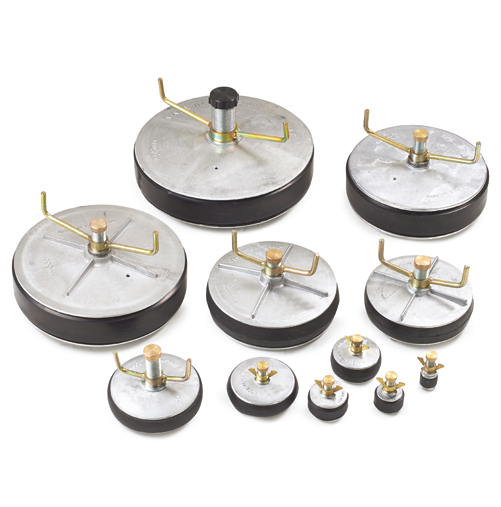 These are provided in sizes from 1.5" upwards and are suitable for more arduous duties such as immersion in chemicals and/or higher temperatures.